Take Alaska Defensive Driving Online! If you are looking for a quick, easy, and stress-free way to complete an Alaska defensive driving program online, you have come to the right website! As a branch of the first online traffic school introduced into the nation, we are proud to say that we have been helping motorists keep their auto insurance low and their driving records clean since 1996. Our online defensive driving course is affordable, convenient, and will only take you a few hours to complete. Because you don’t have to go to a classroom multiple times a week with our program, we help you save time, money and gas! To get started, simply click on the button below. You’ll be able to take the program all at your own pace and earn your completion certificate at the end. You can be done before the end of the day! In today’s world, no one has time to waste. Between work, school, and other responsibilities, everyone is always on the go. Don’t you want a defensive driving course that will fit into your schedule and not be a burden? Enroll Today in our Alaska Online Defensive Driving program and you will be on the road to a clean driving record and safe driving! 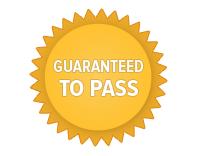 Because our defensive driving course is approved by the Alaska DMV, no matter what reason you need defensive driving, you are able to take our program. Just make sure you are Eligible! The most common reason motorists choose to participate in a defensive driving course is to receive a two-point reduction on their driving record. Once you obtain a traffic violation, you will be assigned a number of points on your driving record. These points are determined by the type and severity of your violation and will vary. The most efficient and quickest way to reduce these points is by participating in our Alaska defensive driving program online! If you have any negative points and blemishes on your driving record, your auto insurance is sure to hike up. Why pay more money when you don’t have to? Register for our quick and easy defensive driving course today! Not sure if you are eligible to take our defensive driving course online? Don’t worry! Finding out is simple. If you are taking our online defensive driving course for point reduction, you are able to do so once every 12 months. There are exceptions to this rule though. You must contact the Alaska DMV in order to confirm that you have permission to take a defensive driving program in order to remove points from your record. For those who don’t have points on their driving record just yet, but want to take this course in order to dismiss a traffic citation, you must gain court permission. There is no time restraint on this like there is for point reduction, however you will have to speak with the court or a judge. Generally, you will be granted permission to take the Alaska defensive driving program if you do not have a large amount of points on your record already, received a minor traffic violation, or do not often receive traffic tickets. For more information on finding out your eligibility for defensive driving, Click Here. If you are a commercial driver, sometimes knowing whether or not you can complete an Alaska defensive driving program can be confusing. When you receive a traffic citation, you must notify your employer within 30 days, and the Alaska DMV if you obtained your violation outside of the state. If you were operating a CMV placarded for transporting hazardous materials, your suspension may be extended. If you have a commercial driver’s license and are on your second offense or more, you may lose your CDL or it may be disqualified. Please contact the Alaska DMV and/or your employer for more information. Click Here to review the Alaska Commercial Driver License Manual. Registering for our Alaska defensive driving course is done in just a few quick moments. Simply fill out our Online Registration by providing the information required. Once you register online, you have the ability to start right away or at a later date-the choice is yours! If you prefer, we also offer live Customer Support available 24/7 with helpful staff members that can assist you with your registration. Why wait any further to register for our course? Fulfilling your defensive driving requirements is only a click away!